Lot 108 Great Southern Railway (Ireland). C/I Oval Wagon Plate. 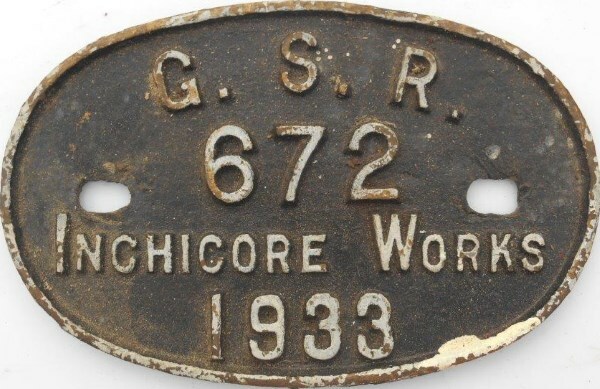 "GSR No 672 - INCHICORE WORKS 1933. As removed condition.